The Church of St Wystan Bretby nestles into the folds of Bretby Village. A hidden gem some might say. It sits above the green on Mount Road about 50metre back. A large tree on the green can obscure its view in summer, but if you find the phone and post box you have found it. 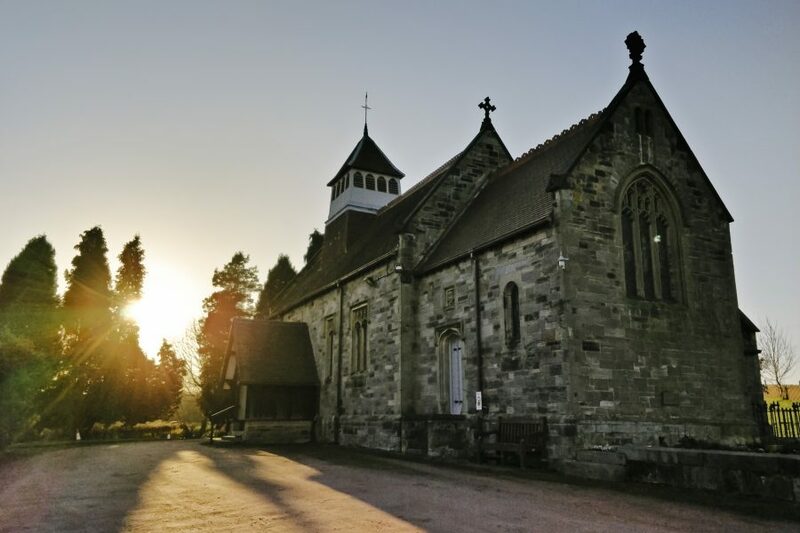 Built in 1876 on the site of an older church it is a much loved and used place of worship. A regular congregation of up to 30 meet Sunday by Sunday at 9.15am. The services are predominantly Holy Communion with a monthly family/word service on the 3rd Sunday. You will always find a warm welcome and a chance to gather for informal fellowship after the service. 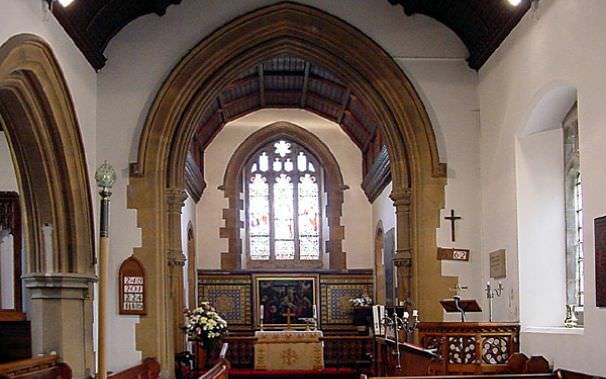 It shares its ministry resources with St Marks Church Winshill. Built in the Gothic style and consists of a chancel with north vestry, nave and north aisle. At the west end is a wooden turret (bellcote) containing five bells. The church contains a notable memorial tablet on the south wall of the aisle which reads.